So, this past week was the first week of school and I hope to get in some regular blogging in this upcoming week. The first week is always hard as you're trying to re- establish routine. In establishing routine, I was also looking to establish a fall running plan, but that is on the back burner. I went in for a massage and it appears my arches have dropped in my feet. What we thought was plantar facittis that wasn't getting better, may actually be something worse. I feeling a bit stressed about that. I was ready to get back into a regular running plan, but for now I just wait till I get into the Dr. so we can set an appointment for the podiatrist. 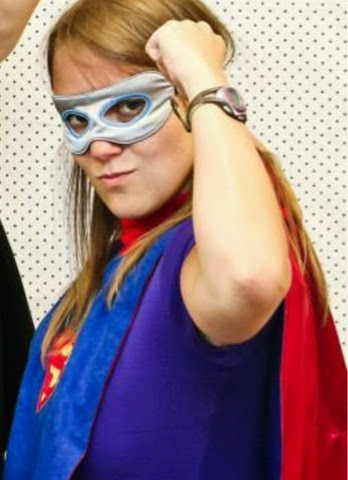 Just another day in the super hero life of a social worker. Q: How do you deal with running injury setbacks? I'm tired of them!